#Aww: Raj Kundra Did The Sweetest Thing For Shilpa’s Birthday!! 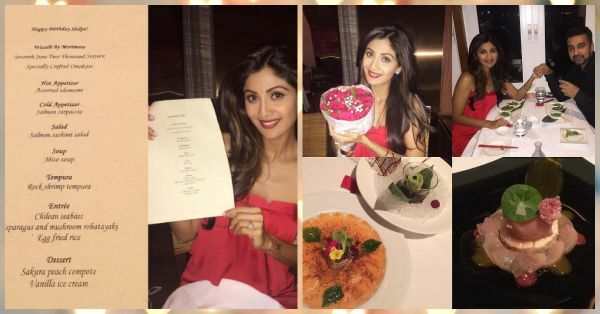 Shilpa Shetty, the timeless beauty, turned 41 today and her husband Raj Kundra did the most special thing for her on her birthday! Shilpa and Raj have been together for almost 7 years now and their journey sure gives us many relationship goals. What Raj did for Shilpa is totally making us jealous! 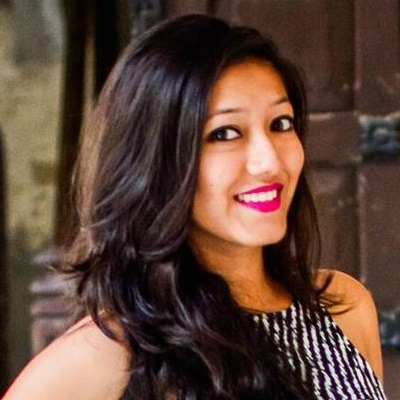 As Shilpa puts it, he whisked her away to a secret place and took her out for a pre-birthday dinner. 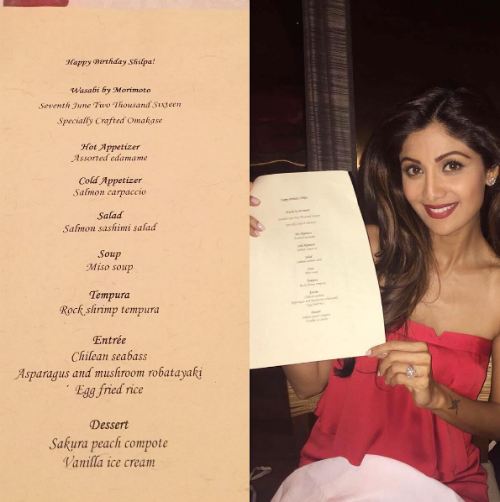 Shilpa posted pictures of the night along with an image of a hand-crafted menu which Raj planned for her! Omg! Aren’t they the cutest? Image: Shilpa Shetty on Instagram Look at her! She looks stunning in that red dress. We are almost sure Raj made her birthday the best day of her life - or at least that's what her smile is hinting at! After all, there is no better feeling than a loved one making you feel special! This couple definitely makes us believe in long term relationships! 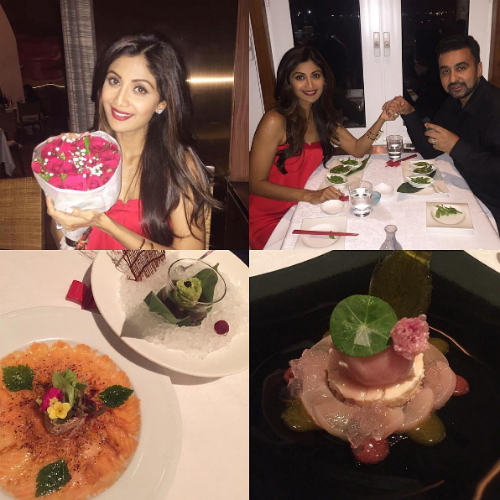 Image: Shilpa Shetty on Instagram Romantic lighting, red roses, Shilpa’s favorite food and the person she loves the most... Sounds like the perfect combination! We wish Shilpa Shetty a very happy birthday! MUST-READ: 5 Times Shilpa Shetty & Raj Kundra Gave Us Happily-Married Goals MUST-READ: Genelia & Riteish’s New Baby Announcement Is Just The CUTEST!